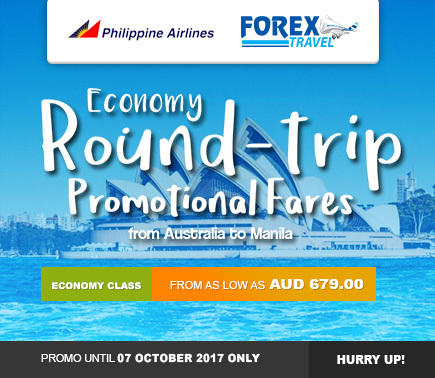 Philippine Airlines roundtrip promo from Australia to Manila, sale period until 07 October 2017! Limited seats available! Philippine Airlines roundtrip promo from Australia to Manila, sale period until 07 October 2017! Contact us at 0287770060 or email us at reservations@forextravel.com.au. To Book online click [ HERE ].